I had so much fun self-publishing my poem last week that I may have to do it again. I know; I’m so wild. Some of you readers also got excited about the “vanity” discussion, and the idea that traditional and self-directed publishing aren’t necessarily an either/or situation. This got me thinking about how that kind of oppositional thinking sneaks its way into our lives, and the faces it wears in the poetry world. Yes, dear reader, once again, Pokey Mama’s making a detour. The detour is about divisions, that good old fork in the road that our friend Bob Frost mentioned. He makes it pretty resonant, doesn’t he, with that dash and line break and end rhyme? Apparently there are two primary interpretations of the poem, and thereby, natch, two factions. One is that Frost was showing off his rugged individuality. The other is that it’s kind of a snarky commentary on a “friend” who tended to wring his hands over lost opportunities and choices. Hard to tell from the poem which of these might be the poet’s intention. And we’re not supposed to look at the man behind the curtain for answers. Not only will we discover he isn’t a wizard we’ll soon figure out that he doesn’t really know what he meant either. It’s a poem, for crying out loud, not a thesis! Intention, shmention! Choices are everything! Choices are meaningless! There are no choices! You think Pokey Mama’s going off the critical deep end here. But I have a point, and that point is that we seem to be a people who want to define ourselves through negation. 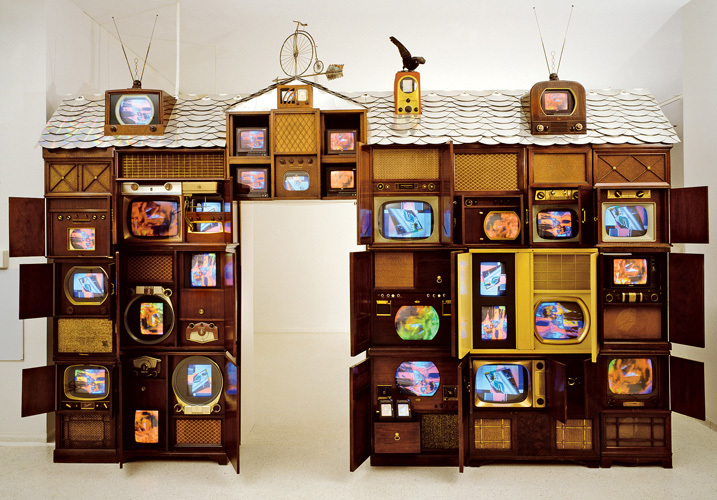 Think of it this way: when you make a sculpture by building it up from, say with clay or plaster or –in the case of Nam Jun Paik—TV sets, they call that an additive process. 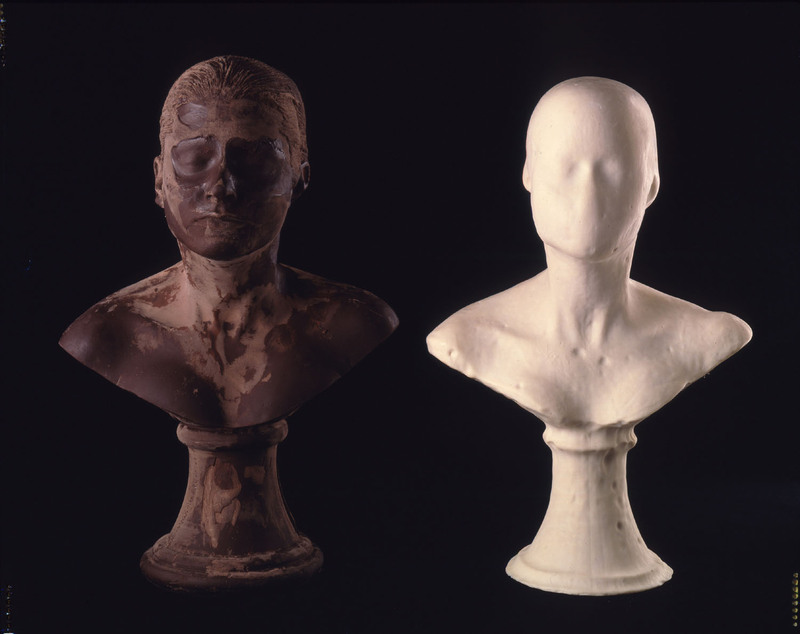 When you chip away at marble or wood— or in the case of Janine Antoni—chocolate and soap, it’s called a subtractive process. I think we are a subtractive people. It’s not enough to say we are poets, we must be a particular kind of poet, and in order to define precisely what kind of poet we are, we must be sure to distance ourselves from the kind of poet we are not. We subtract them. For women, in particular, this has meant taking care not to write about anyhting that could be labeled “domestic,” “confessional,” or “political” (code for “feminist”). These days it’s equally the kiss of death to be known as a “narrative” poet, but even worse than that is—drum roll—the “nature poet.” Was Bob Frost a nature poet? Nature-nature or human nature-nature? Either way, who wants to hear about that boring old stuff? I’m not sure what in my person incited this remark. I took a quick swipe at my hair, thinking maybe a piece of hay had somehow lodged there. No, I was free of plant matter, overalls, Argyle sweater or Birkenstocks. But I discreetly spat out my chaw, and mumbled, Oh shucks, yeah, geez, yuck, nature. Now, I certainly have never thought of myself as a nature poet, but the more I thought about what he’d said the madder I got and the more absurd it seemed. Obviously, it isn’t just him, it’s everywhere! In the current poetry universe there is a barely polite aesthetic rift between the so-called Language poets and the so-called…what? Non-verbal poets? Idea poets? We don’t like them and they feel the same. We think they’re cold and they think we’re mushy. Whatever. This is what we are not. Subtractive, subtractive, subtractive! Why would you close yourself off that way? As with the publishing discussion Pokey Mama’s squarely on the side of inclusivity. A little of this, a little of that—sharp language, wacked-out syntax, unique voice, interesting ideas, good stories—new ways of looking at the world, however you define “world.” I want poetry to have it all! So, I came home from the book fair, stewed. Then I wrote a poem about it! sunsets, light moving on water, beauty, no beauty! for which I have no words. OK, it’s not my very best poem, but it made me feel better. And you get the point, don’t you? Next week I promise, no more detours! We continue with the next installment of Pokey Mama and the birth of her… book. really like the poem and blog! Mama’s got a voice! Blogs are all about the detours — as long as you like who you’re traveling with — and we do! You lead & we’ll follow you, anywhere. Detour away, Miss Pokey – we’ll follow you anywhere. And the poem is delightful – so there! Ha! I love it, Amy. Thanks, Chris. Glad you came to visit. I loved your poem. And by the by – I love narrative poems, as well. i am loving this poem and the subject matter of the post..i’m considering how does one separate our own nature from a poem..is it like separating an egg, yolk here, whites pristine over there? Somehow I think Mary Oliver would not have treated him so shabbily for publishing non-nature poems. Mmmmph! It’s funny you bring her up. I get kind of annoyed when someone finds out what i do and says yet again–“oh, do you know Mary Oliver? I LOVE her!” It’s not that I don’t agree (I like some of her poems very much) it’s just that i want them to name someone else! But, all that aside, she strikes a deep chord with many people, and in the end, i think that’s a good thing. AND i think it’s worth asking the question–is she a “nature” poet? Poke, the truly best poems are those that make us feel so good, no? Especially those that are born out of our stewed-ness. Best to let it come out in words. Your words. Birth it.